Adult Beginner Class teaches the fundamentals of the game, including developing technically sound forehands, backhands, volleys and serves. We help players to learn basic rules of the game and getting the ball in play. 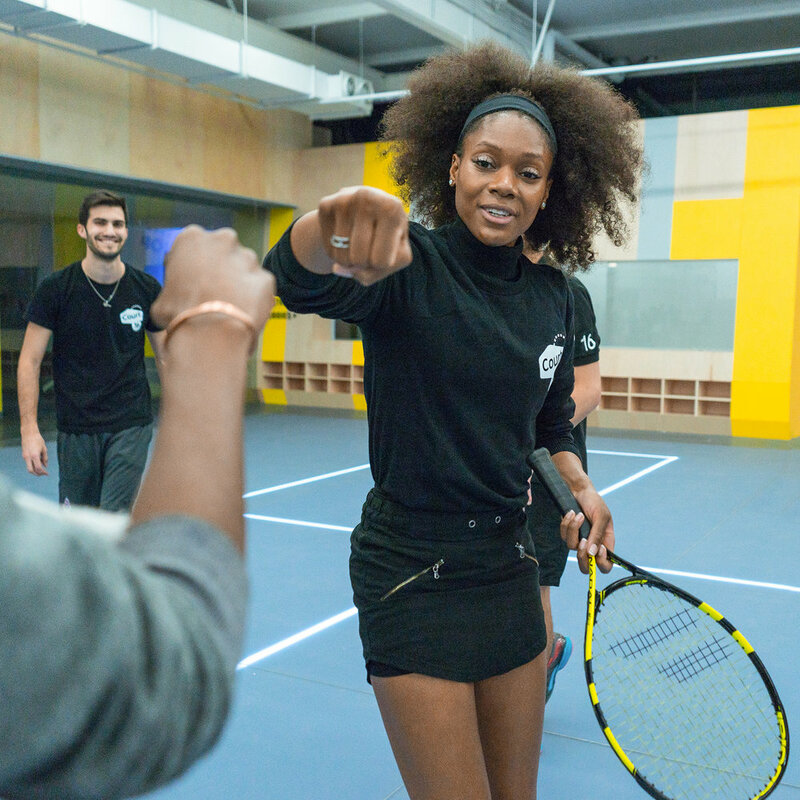 This class is for you if you want to learn the fundamentals of tennis and be able to rally with friends. Adult Intermediate Class helps to develop more advanced strokes and work on new components of the strokes that are already familiar. The ultimate goal is to get players to a point where they are ready to start playing points and matches. This class is for you if you want to be able to rally more consistently and master your strokes. 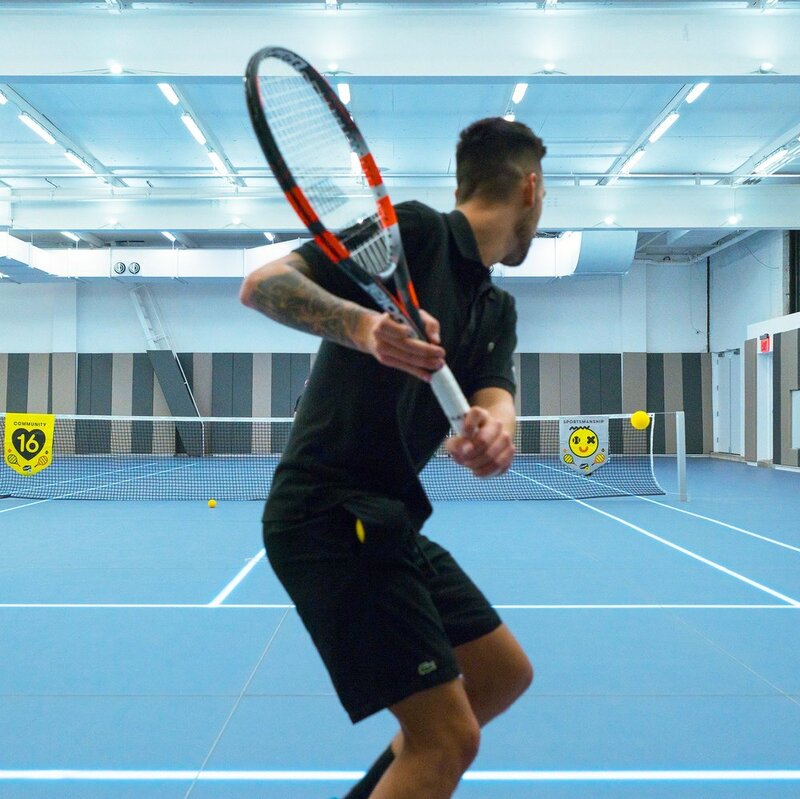 Adult Advanced Class teaches the most enhanced level of technical refinement as well as tactics for singles and doubles matches. For players looking to play in matches, leagues, and tournaments, this is the perfect class for you. This class is for you if you want to improve your tactical skills in order to play in competitive games. Court 16 Parents receive 16% off all adult classes! Please note that class schedules may vary due to other programming. In order to find exact availabilities and book a class, click below! 45-Min Session — $98 ea. 60-Min Session — $114 ea. Booking private lessons for adults can be done by contacting jane@court16.com.